Welcome! The GMBC Surf Coast Trail Group is a collection of passionate local trail riders and runners who have recently come together to promote trail use in the Anglesea / Eumeralla area. 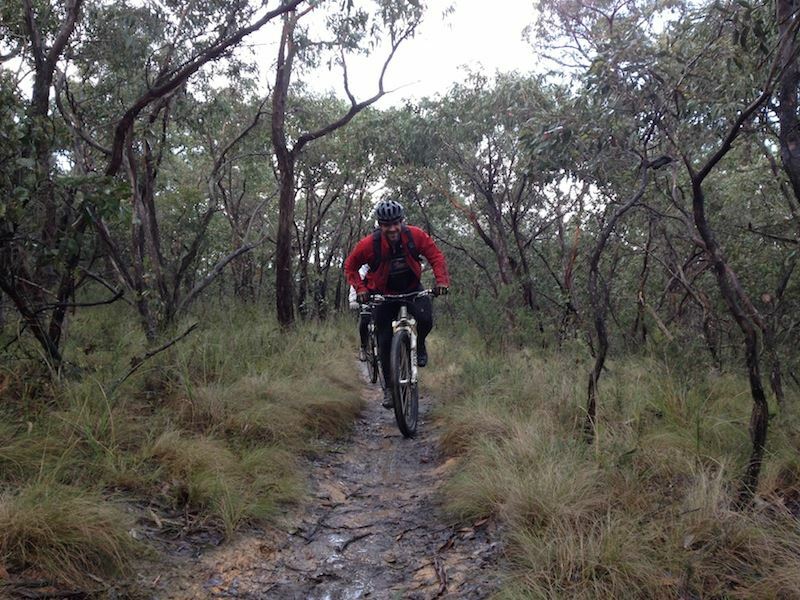 We are a subcommittee of Geelong Mountain Bike Club inc. (GMBC). Our goals are to act as a trail advocacy and maintenance group and to liaise with the various land managers in order to retain a varied and interesting trail network in the area. When and where permission is granted, we will endeavor to keep the network well maintained and sustainable for the enjoyment and safety of users. We will favourably promote MTB riding and trail running as healthy, environmentally responsible pastimes enjoyed by many in our region and that they carry significant local economic benefits. We are still in a holding pattern at this stage with Parks Vic but are expecting a decision on the submitted audit and cultural assessment in the near future. We have maintained a very positive dialogue throughout the audit process with Parks Vic and look forward to hearing the outcome. Stay tuned! We have a chance to raise some more trail funds by assisting in various roles at the Surf Coast Century Run based in Anglesea on Sat Sep 13. Roles can be as short as 4 hours and can begin at times varying from 5am to afternoon! If you can assist, please drop us an email by Friday, August 7th. 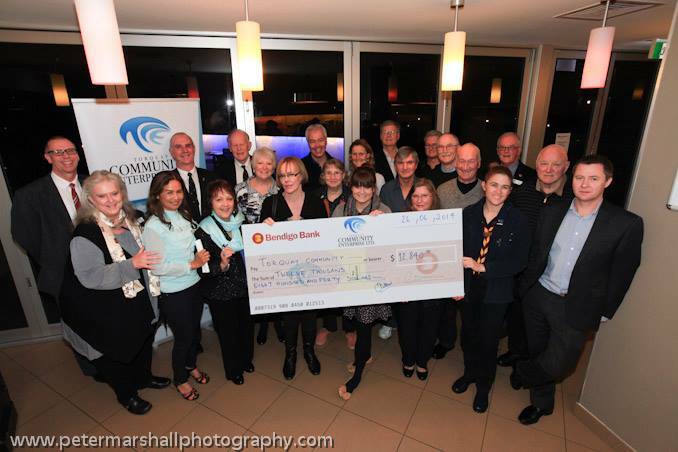 A massive thank you to the Torquay Community Enterprise for awarding SCTG a generous grant that goes towards trail maintenance and the purchase of tools. Our ability to be an effective group correlates directly to the funds that we’re able to raise so thank you to everyone who has contributed in any way! There is no doubt winter is in full swing at the moment. It’s difficult to remember a wetter June and July than we’ve had! As a result, most of the single track that we know and love is constantly lying somewhere between deep puddles everywhere and trying to dry out. Not ideal for your bike or sustainability of the trails. With that, there is still a lot of amazing riding along our coastline during the wetter winter months. A lot of the Torquay and Anglesea locals have wet weather day courses that stay away from the main portion of single track and focus on the fire roads and 4wd tracks behind Anglesea. Just be careful of moto riders – especially on the weekends! You can pick up maps at the Torquay and Anglsea visitor centres or check Parks maps out online HERE - get outside and enjoy! If I was a dead 20th Century Icon I would be John F. Kennedy - Well known to be a charming, good-looking individual with a good sense of humour; I also have an ambitious nature and a thirst for power. I would describe myself as, “an idealist without illusions” and devote myself fully to making the world a better place. If I was a movie I’d be Ratatouille - ambitious and cultured, always down to try something new or challenge myself. If anyone says I can’t do something or that it’s too crazy, I am more driven to give it a try. I also have pretty intense wanderlust. If I was a country I would be New Zealand – an adventurous individual who enjoys being outdoors and spending time being active; a risk taker and have no problem striking up a conversation with a total stranger. When I travel I love to get to know the locals, and their customs, and am always up for a challenge. I thrive in a culture where others share my appreciation for land, and believe life is best lived outdoors. I love a hard ride, but also love the water and am happy to spend a day at the beach. I believe that life is something to explore and experience firsthand. If I was a fruit, I’d be an apple - outspoken, optimistic and a natural born leader. I can take quick action in most situations and often find myself leading a team or group of people. I have an enthusiasm for life, unmatched by most and others are drawn to your positive and can-do attitude. The World Cup team I should play for is Argentina. I’ll play alongside the best goal scorers in the game: Lionel Messi and Sergio Agüero are my teammates and friends. I will follow in the footsteps of all-time-great Diego Maradona in football success, drugs and prostitutes and lead Argentina to glory in 2014. What can you do to keep our trail network open? Please help us to extend our voice! Get friends to sign up to our monthly email update database HERE. Forward this newsletter to interested friends. We expect the next issue will be out in October. If there are significant updates, we’ll aim for earlier. If you have any enquiries please email us. We would love to hear from you so please shoot through any feedback or questions and we’ll get back to you as soon as possible.